A Shanghai-based company has been fined 500,000 yuan (US$76,000) by the city's market watchdog for selling fake organic vegetables. The firm owning the renowned Shanghai organic vegetable brand Shangshanyuan has been found guilty and heavily fined for profiting by mixing nonorganic vegetables with organic ones. 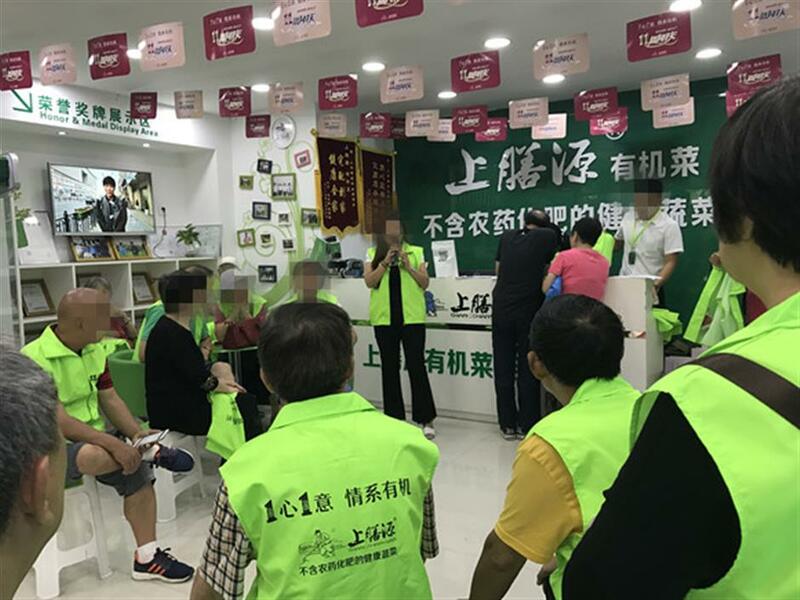 Shanghai Rongbang Investment Management Co, the company behind the Shangshanyuan brand, was fined 500,000 yuan (US$76,000) by the city’s market watchdog for selling fake organic vegetables, officials said yesterday. The company was also found to have used false advertising to boost sales, according to the Shanghai Industrial and Commercial Administrative Bureau. 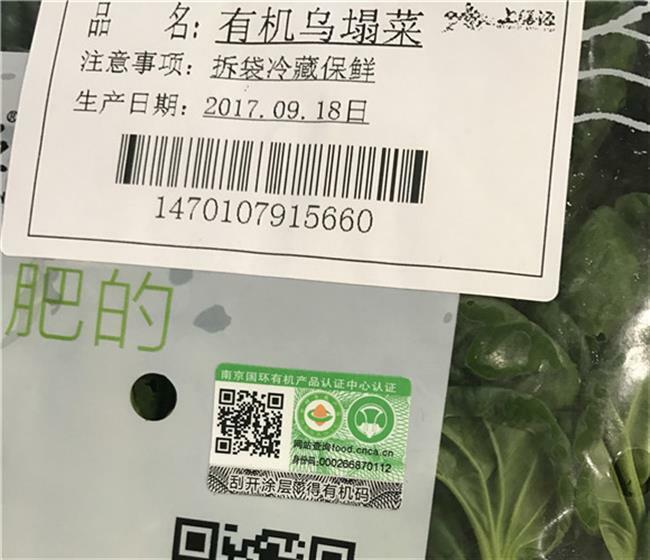 The mixed vegetables were sold at the prices of organic vegetables to registered Shangshanyuan members or via the Internet between September 2014 and May 2016, the bureau said. Shanghai Rongbang Investment, with a registered capital of 10 million yuan, was also ordered to rectify irregularities by the bureau. The prices of vegetables sold on the company’s website are much higher than nonorganic vegetables sold at wet markets. The best-sold vegetable on the company’s website is balsam pear, which costs 35 yuan per 600 grams — about four to six times that of normal balsam pears sold at wet markets. The monthly sales figures of the vegetable are 1,957 on the website. The monthly sales of potato and capsicum surpass 1,000 on the website. Shangshanyuan’s vegetables are sold on its website, app, WeChat, and Tmall.com, China’s largest online shopping platform. In addition, the brand also has 13 outlets in Shanghai. Only registered members are able to make orders at these outlets. An annual membership card with a set menu of meat, eggs, vegetables and rice is priced around 15,000 yuan, and Shangshanyuan has more than 20,000 registered members in Shanghai. Its vegetables are tagged with the certificate issued by the Organic Food Development and Certification Center of China. Celine Chanut from France who has been living in Shanghai for years is a member of Shangshanyuan. Her regular order includes vegetables, chicken or duck and eggs. Shangshanyuan’s vegetables are tagged with the certificate issued by the Organic Food Development and Certification Center of China. “We went to Shangshanyuan’s farm regularly and organic food tastes good, especially tomato,” she said. “But Shangshanyuan became famous and more commercial. Every time I call to order vegetables from our membership, they try to sell me other products, some are organic, some not ... a very different conception from organic in France,” she said. “Organic in France is a lifestyle, not a business. It is the belief that nature is good and there’s no need to add pesticides or other chemicals to have better food.” She said she did not plan to renew her membership. “Maybe the best solution is to share a land with friends and grow our own vegetables,” she said. The investment company with its business covering investment management, convention service, property development, vegetable planting, sea food and poultry farming, has been fined before. In 2015, it was fined more than 20,000 yuan for using the images and words of medical treatment institutions and doctors in food advertisements, which is against China’s advertisement regulations. Last year, it was fined 8,000 yuan for using obscure drug reference terminology in food advertisements. It is a fraud if companies use exaggerated words such as “pure green” or “pollution free” and fake terms of “organic food” or “green food” and they can be fined, according to regulations issued by the China Food and Drug Administration. In March, Jilin Zhengfang Husbandry Stock Co was fined for marking its products as “organic food” without obtaining the organic food certification. The same month, the Weifang Entry-Exit Inspection and Quarantine Bureau in Shandong Province destroyed a batch of “organic” biscuits imported from Malaysia as they were not organic food.